The ultimate breakthrough in FLAT LASHES! Achieve a voluminous, lash doubling look with Faux Mink X-Wrap™ eyelash extensions. These unique lashes make a dramatic statement from their full, dark base to their precise, tapered tips. THE PERFECT FIT IS FINALLY HERE. BRING ON THE DRAMA! BOLD, LOOK-AT-ME LASHES. INSIDER TIPS: Use Faux Mink X-Wrap® eyelash extensions exclusively to create a high-impact look for clients who desire a very dramatic result. By incorporating Faux Mink or Faux Mink Bold™ eyelash extensions throughout the X-Wrap design, you can add subtle softness for clients who prefer a more natural look. Faux Mink X-Wrap eyelash extensions help conceal gaps in a sparse lash line and provide a bold, voluminous lash look without compromising the health of your client’s natural eyelashes. For a finished look and increased longevity, incorporate 0.07 mm and 0.05 mm Faux Mink Bold Volumation™ eyelash extensions on the inner and outer corner eyelashes that are thinner and more delicate. The Stacking Volumation® technique can also be used to achieve 3-dimensional volume. Always conduct a full client consultation and reference the Lash Calculator™ tool to ensure a safe, long-lasting, beautiful application for your client. 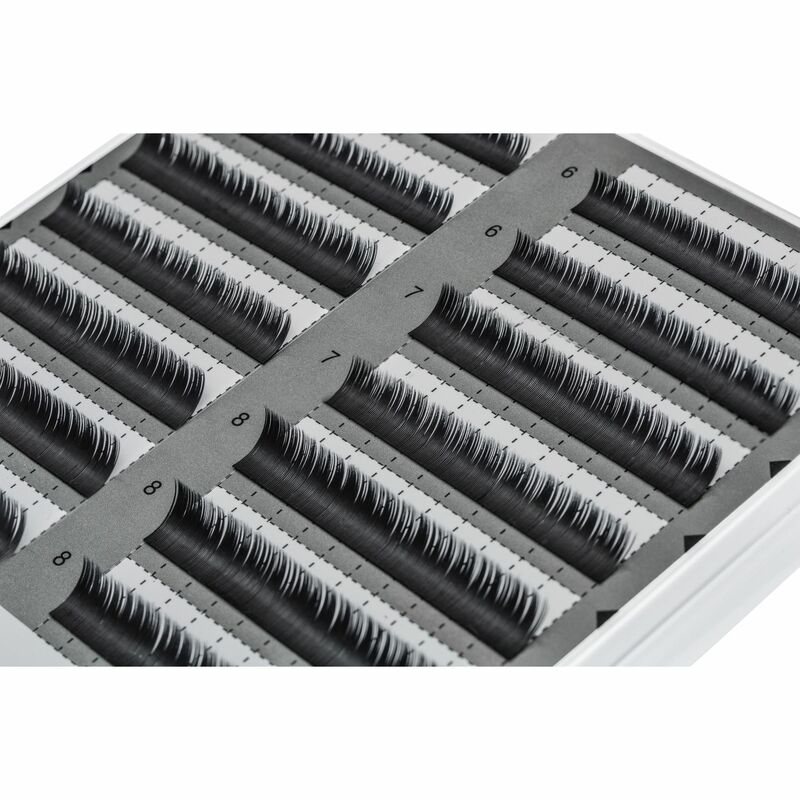 Note: Faux Mink X-Wrap® lashes have replaced Faux Mink Ellipse HD™ Lashes, and are available in the same lash tray dimensions as the Ellipse.